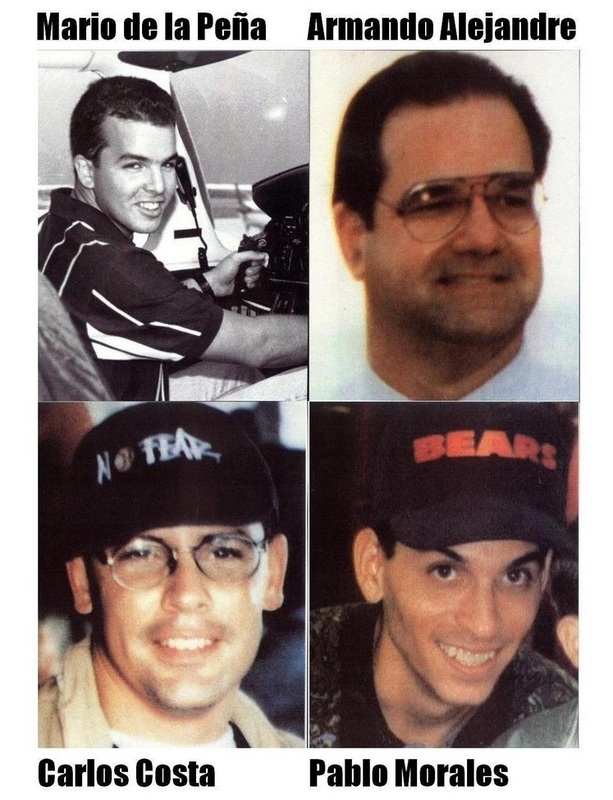 Four men were killed when the two planes they were flying in were shot down on a Saturday afternoon at 3:21 and 3:27 on February 24, 1996 over international airspace while engaged in a search and rescue flight for Cuban rafters. Their planes were destroyed by air-to-air missiles fired by a Cuban MiG-29 aircraft on the orders of Raul and Fidel Castro. The purpose of this essay is not to analyze how they died but more importantly understand who they were and why they felt it necessary to be on those planes searching the Florida Straits for Cuban rafters despite the dangers. The four individuals killed represented all aspects of the Cuban diaspora: a child who arrived with his parents from Cuba in 1960, another born in Miami Beach in 1966 and a third born in New Jersey in 1971 the children of Cuban exiles. 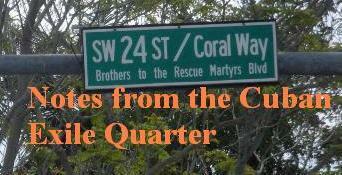 The fourth was born in Cuba in 1966, raised there and was saved by Brothers to the Rescue when he was 26 years old while fleeing the island on a raft. Two were from Havana, one was from New Jersey and the other from Miami Beach. The oldest of the four, Armando Alejandre Jr. born in Havana, Cuba on April 16, 1950 who was nine years old when Fidel Castro came to power. He arrived in the United States with the rest of his family at the age of 10. He graduated from high school in Miami enlisted in the military, out of gratitude for the United States providing refuge to Cubans fleeing the Castro regime, serving two tours in Vietnam. Following his military service, he attended Florida International University, which is my alma mater, and following graduation went to work in Metro-Dade Transit Agency in Miami. At the time of his death he was 45 years old leaving behind his wife of 20 years, Marlene and an 18-year-old daughter Marlene Victoria. Armando became a U.S. citizen and was a Cuban-American. Mario Manuel de la Peña, the youngest of the four was born the township of Weehawken, New Jersey on December 28, 1971 when the Castro regime had already been in power 12 years. He was a son of Cuban exiles. Mario received his degree of Associate in Science in Professional Piloting Technology from Miami-Dade Community College at age 21. In 1996, he was completing his senior year at Embry Riddle Aeronautical University. Following the shoot down, Embry Riddle conferred upon Mario the degree of Bachelor of Aeronautics honoris causa. 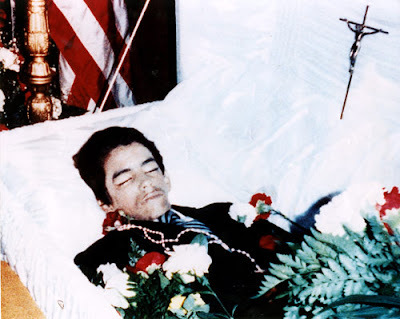 At the time of his death he was just 24 years old and is survived by his parents and brother. Carlos Costa was born on June 23, 1966, in Miami Beach, FL, to Cuban exiles and attended Monsignor Pace High School. He was a graduate of Embry-Riddle University of Aeronautics, where Carlos obtained a bachelor of science in airway science and was licensed as a commercial, instrument, and private pilot, as well as a flight instructor and multi-engine flight instructor. Carlos worked at Miami International Airport, where he trained employees on aviation rules and enforced Federal Aviation Administration standards. Carlos Costa was 29 years old when the shoot down occurred. Carlos is survived by his parents of Cuban origin, Mirta and Osvaldo Costa, his sister, Mirta Mendez, one niece and two nephews. Pablo Morales was born in Havana, Cuba, on May 16, 1966 and was the same age as Carlos Costa but with a different life experience. He studied cartography and obtained a degree as a geodesics technician. In August 1992, Pablo fled Cuba on a raft and after three days at sea, was spotted in the ocean by Brothers to the Rescue. This experience motivated him to join the previously mentioned organization. He was a passenger in the aircraft with Carlos Costa when they were shot down. Pablo was survived by his mother Eva Barbas, who passed away in 2013, a sister, and a brother. He was a Cuban citizen at the time of his death with residency in the United States and was just 29 years old. One month from today, January 24, 2016, friends and families will be observing the 20th anniversary of this terrible crime, an act of state terrorism, in which four humanitarians were murdered trying to save the lives of fleeing rafters. As this essay is being written a group of Cubans sent by the dictatorship gathered outside of the Havana headquarters of the Ladies in White, a human rights movement, in order to harass them and burn a pile of copies of the Universal Declaration of Human Rights. A document that today as in 1996 remains a taboo to possess in Cuba. Mario and Carlos were both volunteer pilots of the nonviolent and humanitarian group Brothers to the Rescue. In February of 1991 news accounts of the death by dehydration of 15-year-old Gregorio Perez Ricardo, a rafter fleeing Cuba, as U.S. Coast Guard officials tried to save his life deeply touched several pilots. A 1995 monograph by academics Holly Ackerman and Juan Clark, The Cuban Balseros: Voyage of Uncertainty reported that “as many as 100,000 Cuban rafters may have perished trying to leave Cuba.” There is anecdotal evidence that some of them were victims of the Cuban border patrol who used sand bags and snipers against defenseless rafters. It was within this context that on May 13, 1991 the previously mentioned group of pilots founded Brothers to the Rescue with the objective of searching for rafters in the Florida Straits, getting them water and food, and rescued. Armando and Pablo were observers who would fly with the pilots and look out for the rafters below. The core group of the organization was made up of 70 pilots, observers and volunteers from Argentina, Brazil, Chile, Cuba, England, France, Jamaica, Nicaragua, Puerto Rico, Switzerland, the United States, and Venezuela. 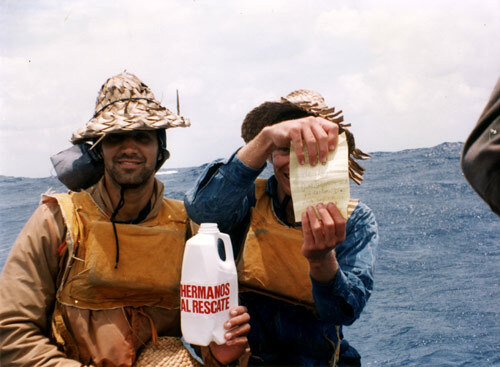 Armando, Mario, Carlos and Pablo risked their lives in the Florida Straits to rescue Cuban rafters and at the same time Brothers to the Rescue challenged the Cuban exile community to abandon a failed violent approach in order to embrace strategic nonviolence following the path laid out by Martin Luther King Jr. The end result was that Brothers to the Rescue saved more than 4,200 men, women, and children ranging from a five-day old infant to a 79 years old man, and the rescue of thousands of others during the refugee crisis of 1994. At the same time the organization served as a bridge between a nonviolent civic movement inside of Cuba and an exile community seeking a different approach after the failure of armed resistance in the 1960s and 1970s. 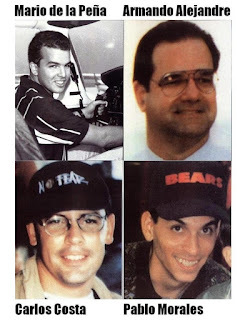 These are the reasons why these four risked and lost so much when they were extrajudicially executed on the orders of the Castro brothers on February 24, 1996. They did not die in vain and their martyrdom is remembered inside and outside of Cuba and will continue to be so wherever free Cubans gather. "The truth is that cowardice itself is violence of a subtle type and therefore dangerous and far more difficult to eradicate than the habit of physical violence." The struggle for a free Cuba has been a long affair with different episodes and different approaches. Between 1959 and 1966 there had been a violent resistance to the Castro regime that carried out armed landings (1961); guerilla uprisings (1961 - 1966) that according to Carlos Alberto Montaner "lasted until approximately 1966, when the last foci of peasant guerrillas on the central mountains were exterminated." Many of the participants in the Anti-Castro armed struggle had first been members of Castro's July 26th Movement, who had fought in good faith to rid Cuba of the Batista regime with the aim of a democratic restoration. These Cubans returned to fight in the hills when it became obvious that the Castro brothers were imposing another and more brutal dictatorship. 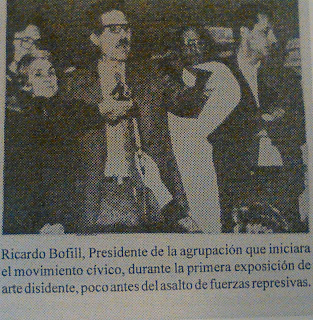 Finally, in 1976, half a dozen Cuban opposition actvists with leftist backgrounds were summoned by professor Ricardo Bofill  and founded in Havana the Cuban Committee for Human Rights, the first political organization in the nation's history to expressly renounce violence as a method of struggle. The group decided to abide by the rule of law to reclaim the rights quashed by the dictatorship. Meanwhile, in exile in Washington, about the same time, Mrs. Elena Mederos, former minister in the revolutionary government, and activist and political scientist Frank Calzón, founded Of Human Rights with the same objective: to defend, by nonviolent and legal means, persecuted individuals, dissidents and political prisoners in Cuba. In 1982 at the Combinado de Este prison Gustavo Arcos Bergnes and his younger brother, Sebastián Arcos Bergnes, joined the Cuban Committee for Human Rights. The brothers had been imprisoned in 1981 for trying to leave the country illegally. Soon thereafter, the Committee began to send out proclamations denouncing the deplorable conditions in which political prisoners were kept. Shortly after his release from prison in 1988, Gustavo Arcos succeeded the committee’s executive director, Dr. Ricardo Bofill, who was forced into exile. Due to his worsening health in his last years Gustavo Arcos lowered his profile and ceded much of the work to exiled members of the Cuban Committee for Human Rights. Nevertheless, he met with US Senators visiting Cuba in 2000, with former President Carter in 2002 and signed a letter in 2003 denouncing the unjust imprisonment of 75 Cuban dissidents imprisoned in the Black Cuban Spring. Gustavo Arcos passed away in Cuba on August 6, 2006. Martha Frayde passed away in Spain on December 4, 2013. Ricardo Bofill remains in exile in Miami, Florida and an active member of the Cuban Committee for Human Rights. This nonviolent approach would endure and grow into a nationwide movement across Cuba and write new chapters in Cuba's history of resistance to tyranny. Today we remember the activists who forty years ago initiated this new, and nonviolent struggle for a free Cuba with the Cuban Committee for Human Rights. 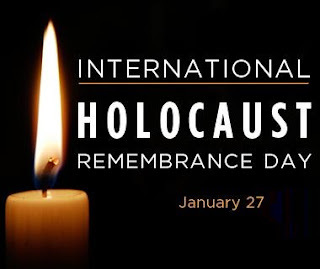 Today is recognized by the United Nations as the International Holocaust Remembrance Day and is observed around the world but not in Israel. 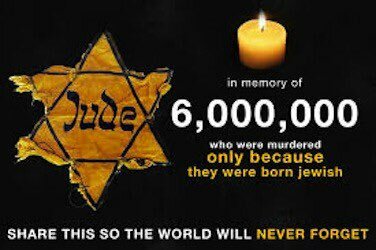 In Israel in 2016 Holocaust Day (Yom HaShoah ) will be observed on May 4th beginning at sundown and ends on the evening of May 5th. Memory and truth are needed to stop it from happening again. There are memorials around the world and acts of remembrance. Listen to those who were there and survived to bear witness. We must never forget this evil event. U.S. Treasury Cuba Announcement in brief: "U.S. taxpayers get ready to pick up the tab for the Castro regime." The United States is the only country in the world that since 2000 has had a cash and carry arrangement with the purchase of agricultural and pharmaceutical products.Under this arrangement American companies sold over $5.2 billion to the Castro regime. This arrangement protected U.S. taxpayers from having to subsidize the dictatorship when it defaulted on its financial obligations. 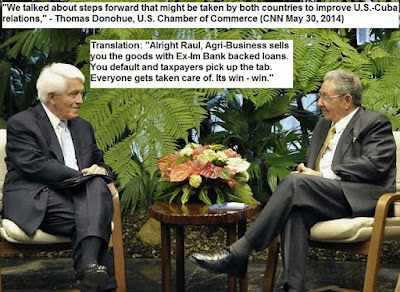 How did the Castro regime raise the money to purchase U.S. goods? Trade with the Castro regime peaked under the Bush administration and has crashed under the Obama administration. The Treasury Department's announcement today means that the United States will join the rest of the world in financing the Castro regime. This will mean that the Chamber of Commerce and Agriculture lobby will sell to the Cuban dictatorship and have the taxpayers pick up the tab if anything goes wrong. The record with other countries over the past half century indicates that the Castro regime will default on what it owes. On April 23, 2014 Moody's Investor Service downgraded Cuba's already poor credit rating to Caa2 from Caa1which Nasdaq defines as follows: "Obligations rated Caa2 are judged to be of poor standing and are subject to very high credit risk." 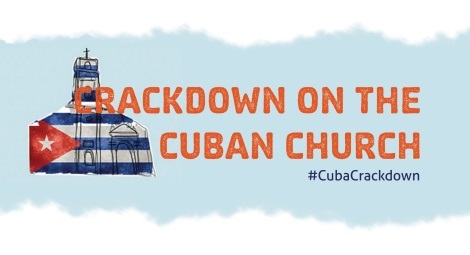 Over the past year there was an escalation in violent repression and a ten fold increase in religious repression in Cuba. Worse yet, we now have learned that the Cuban government had obtained control of a Hellfire missile in 2014 that somehow ended up in Cuba. Despite repeated requests by the Obama Administration the weapon has not been returned as of today. Unfortunately, the consequences for Cuba and the Americas with these moral compromises by the Obama Administration will be "big and dangerous ones" generating new problems and challenges. Make no mistake the message to enemies of the United States yesterday was crystal clear: Take an American hostage and hang on to him for years until your demands are met and you'll get what you want. It sets a terrible and dangerous precedent. 2015 and 2016 are shaping up to be difficult years for Americans traveling abroad. 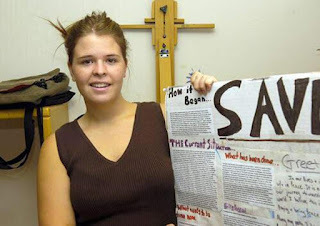 Consider the following: Kayla Jean Mueller, an aide worker captured in Northern Syria in 2013 was killed while in captivity on February 6, 2015. She had been repeatedly raped by the leader of the Islamic State of Iraq and Syria. She is the fourth American to die in ISIS captivity since August 2014. A University of Virginia student honored as an “intellectual risk-taker” has been arrested in North Korea, its state-run media said Friday, accusing the American of an unspecified “hostile act” against the state. 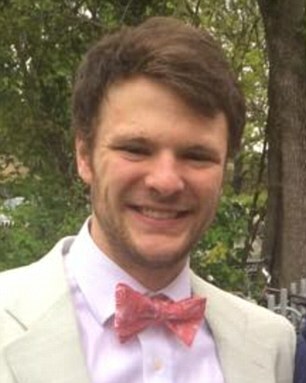 Otto Frederick Warmbier, 21, was detained Jan. 2 at Pyongyang airport as he prepared to leave after a five-day trip over the New Year’s holiday, said Gareth Johnson of Young Pioneer Tours, the agency that organized the trip. This was four days before North Korea conducted its latest nuclear test, and makes Warmbier the third Westerner known to be held in North Korea — a move that is certain to elevate already-high tensions with Washington. There is already speculation that North Korea wants to use the student as a bargaining chip. It has worked before in Cuba, Iran and with the hermit kingdom itself. A bad time to be an American traveling abroad. This is the end result of normalizing relations with abnormal regimes. Today marks another sad anniversary that a daughter observed posting a picture from better days when her dad was still alive. The tragedy is that Oswaldo Payá Sardiñas was murdered by agents of the Cuban dictatorship along with Harold Cepero, a young man who was a friend of hers and a youth leader in his nonviolent democratic movement. Three and a half years later and the evidence that an extrajudicial execution was carried out by Castro's state security service has piled up and petitions made to the UN Human Rights Council and Inter-American Commission on Human Rights but nothing has been done and the killers remain at large and unidentified. 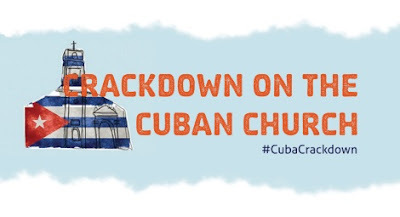 Young members of the Free Cuba Foundation in an open letter replying to Cuban American businessmen advocating engagement with the Cuban dictatorship and the Obama administration's "new policy" of unilateral concessions to the regime that began in 2009 made reference to both of them. The bitter harvest of this approach can be seen in the high profile body count generated. The December 17, 2014 announcement by President Obama doubled down on this policy that has been hostile to Cuba's democratic aspirations. Cuba has seen rising levels of violence against nonviolent activists and the suspicious deaths of human rights defenders during the Obama presidency: Orlando Zapata Tamayo (February 23, 2010), Daisy Talavera de las Mercedes Lopez (January 31, 2011) , Juan Wilfredo Soto Garcia (May 8, 2011), Laura Inés Pollán Toledo (October 14, 2011), Wilman Villar Mendoza (January 19, 2012), Sergio Diaz Larrastegui (April 19, 2012), Oswaldo Payá Sardiñas (July 22, 2012) and Harold Cepero Escalante (July 22, 2012). Both Laura Pollán and Oswaldo Payá each had the international recognition and ability to head an authentic democratic transition in Cuba. Oswaldo Payá had forced the dictatorship to change the constitution in 2002 because of Project Varela, a citizen initiative demanding legal reforms within the existing system, and Laura Pollán through constant street demonstrations achieved the freedom of scores of Cuban prisoners of conscience. 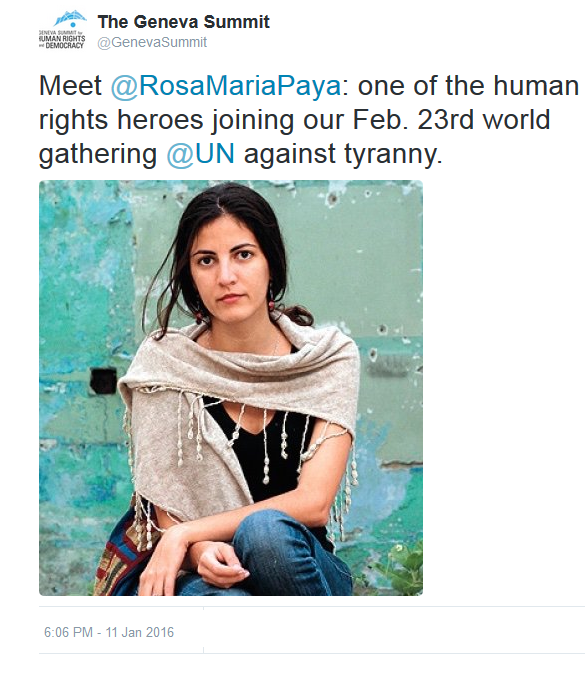 It is important to remember that the deaths of these high profile human rights defenders all happened on President Obama's watch. 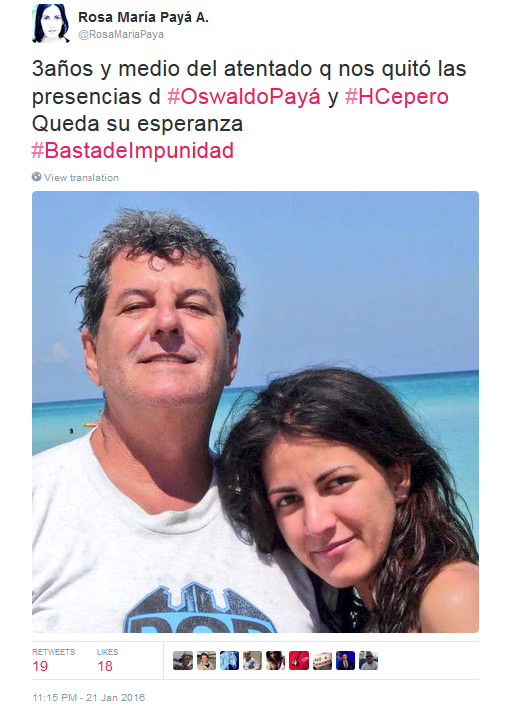 What is profoundly moving is that despite all of this, Rosa María Payá Acevedo continues not only to advocate for justice on behalf of her dad and her friend but also for Cubans to be able to decide their country's destiny in a plebiscite in a initiative called CubaDecide. She will be addressing these issues on February 23, 2016 in Switzerland at The Geneva Summit for Human Rights and Democracy. You can register online if you plan to attend in person or watch it live stream. 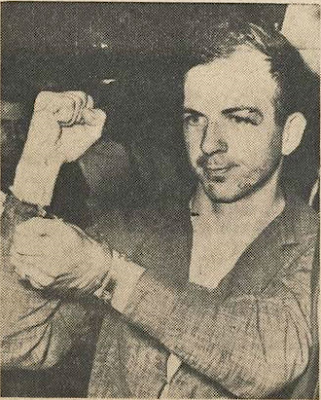 Three days after the shooting in Dallas, Texas, on 22 November 1963, Lyndon B Johnson was informed that Oswald had visited the Cuban and former Soviet Union embassies in Mexico City on 28 September 1963 to arrange visas. The Daily Mail reported that the memo had "remained a secret until today, when the CIA released 19,000 confidential documents from the 1960s." On the 50th anniversary of the Kennedy Assassination this blog published two entries: one analyzing who benefited most from the murder of the President on November 22, 1963 and a second reporting on an official denial made by the Castro regime on November 21, 2013. Brian Latell, PhD, author of Castro's Secrets: The CIA and Cuba's Intelligence Machine, gave a presentation to the Association of Former Intelligence Officers at their June 1, 2012 luncheon in McLean, Virginia in which he addressed the information known then on the Castro regime and the Kennedy Assassination. Human rights and democracy have been in retreat for the better part of a decade emboldening dictators and terrorists to challenge the international order turning it into something cruel and indifferent to human aspirations for freedom and dignity. We are witnessing today in Venezuela the attempt by the Maduro regime to undermine the results of a democratic election while at the same time rejecting calls for an amnesty to free Venezuelan prisoners of conscience. 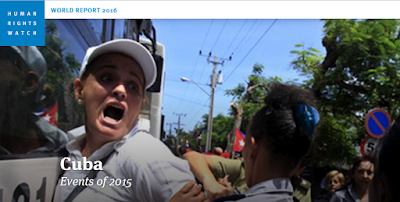 This change poses a challenge for a democratic Cuba in the future. This new reality is in large part due to unprincipled engagement with Communist China by Western Countries, including the United States. 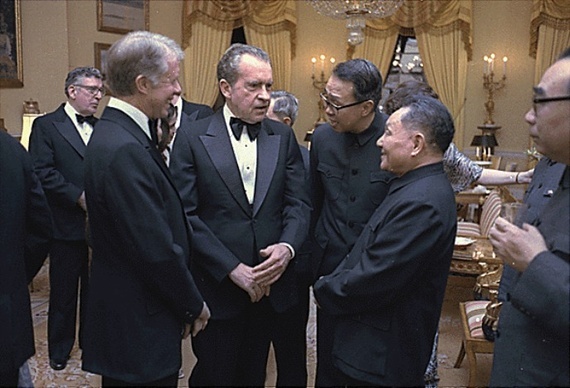 Corporations shifted manufacturing away from their free markets, labor unions, and environmental protections toward Communist China were workers are paid slave wages, work in terrible conditions and where environmental regulations are non-existent. The world today is dirtier, less free, and human dignity has been debased to the point that organ trafficking is a common practice and the bodies of dissidents are put on display for the amusement and curiosity of paying visitors around the world. Dr. King's epigram "Injustice anywhere is a threat to justice everywhere" can be seen in action in China. The decision to continue the China policy initiated by Nixon and Kissinger in a Cold War context with the Soviet Union when it had a basis in realpolitik but ended with the collapse of the Soviet empire (1989 - 1991). The decision to continue based on narrow economic self-interests has had negative consequences not only in China but around the world. It is long past time for the United States and other democracies to advance a principled human rights policy in China and elsewhere. This also does not mean going to war that often has made things worse but doing the right thing. This is the third way, that neither engages in preemptive wars or appeasing brutal tyrants, and is the best hope to a world of freedom and justice which is necessary for a lasting peace. "If today I lived in a Communist country where certain principles dear to the Christian faith are suppressed, I would openly advocate disobeying that country's anti-religious laws." - Reverend Martin Luther King Jr. 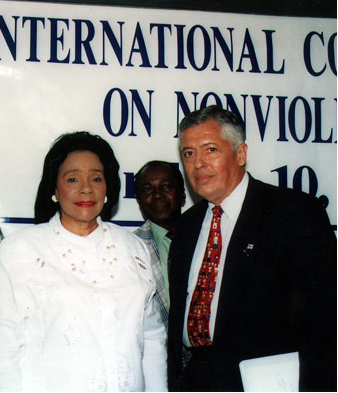 Dialogue on Nonviolence: Is nonviolence step one? Yesterday a dialogue on nonviolence began with the question: Why did Jewish nonviolent resistance against Hitler not work? The answer to this question is that it was not tried. There was Jewish resistance but, although morally right, it was violent and looking at the end result, unsuccessful. Furthermore, although limited, there were examples of nonviolent resistance to the Nazis by Danes and German housewives that saved thousands of Jewish people from the Holocaust as did Raoul Wallenberg, a Swedish diplomat who saved up to 100,000 Jews in Hungary only to be imprisoned and disappeared by Soviet troops after the war. Today is Raoul Wallenberg Day in Canada to honor his example. However other questions remain and the dialogue continues. For example Maria Al-Masani argues that nonviolence is tried first, and often it works, then if that doesn't work because the "population is brainwashed then step 2." In the course of this conversation on twitter the obvious question arose: "What is step two?" The answer given was as follows: "Step one is non violent resistance for months, step 2 is to fight for your freedom until the death. Ukraine, Step 1 & 2". However the Euromaiden was predominantly a nonviolent phenomenon and the violent elements, if anything, provided cover for Russian objectives that ended in the invasion and occupation of Crimea and Eastern Ukraine. Fighting for ones freedom until the death fits within a nonviolent context. Mohandas Gandhi described it as follows: "I am prepared to die, but there is no cause for which I am prepared to kill." Non-violent resistance is a method of struggle that like violent resistance in a conflict is not without risk. However, Gandhi's outlook on nonviolence, "[t]o die in the act of killing is, in essence, to die defeated." Al-Masani offers as another example "India" saying that "First started with non violence, then with violence now its independent." However my reading of Indian history is very different. First there were violent uprisings against British rule before and during Gandhi but they all failed to achieve independence. 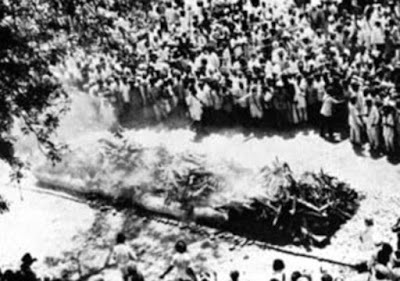 Sadly, the greatest violence in 1946 and 1947 was not for the cause of independence from Great Britain but religious violence between Hindus and Muslims that led to a bloody partition of India and the new state of Pakistan. It is also important to recall that the worse massacre carried out by the British against nonviolent protesters was on April 13, 1919 when British troops on the orders of Brigadier-General Reginald Dyer fired on a large crowd of unarmed Indians in Amritsar in the Punjab region killing between 379 (number claimed by the British) up to 1,000 Indians killed (number claimed by Indian sources). Women and children were among the massacred. 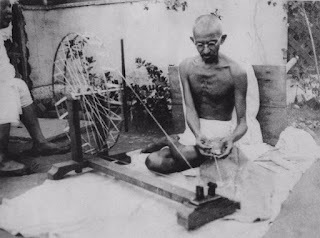 This action is what led Mohandas Gandhi to initiate his nonviolent movement for Indian independence and it was this nonviolent movement that achieved an India free of British rule. In 1982 the film Gandhi recreated the massacre for the big screen. 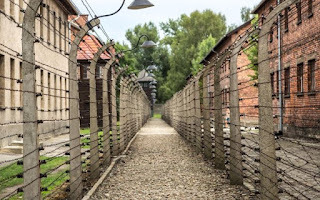 There were other efforts that sought to violently resist Great Britain forming alliances with Nazi Germany that failed miserably, but did play a role in the religious hostility that led to a post-independence blood bath in which over a million died. The past century has demonstrated that violence escalates in a spiral with unforeseen consequences that over the long run are negative while at the same time demonstrating how acts of nonviolence over the long run have positive outcomes.